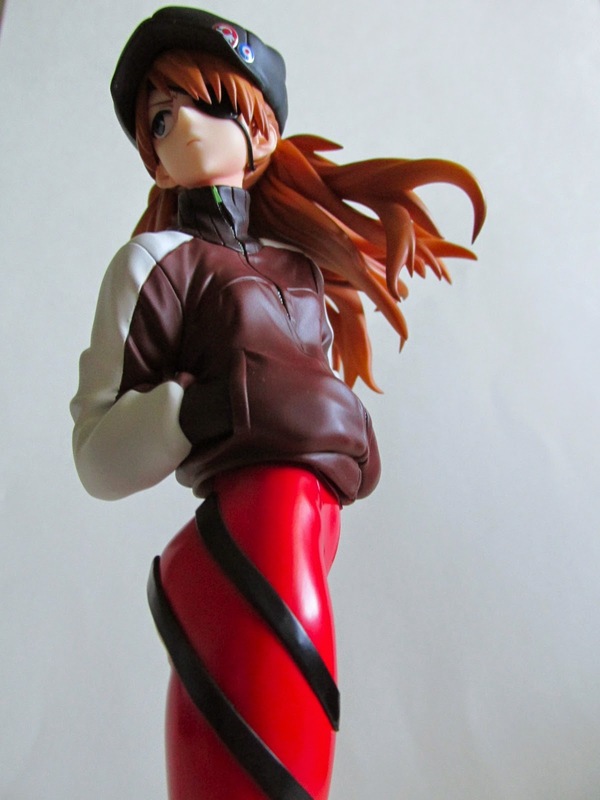 The third Evangelion movie has been out for sometime now. 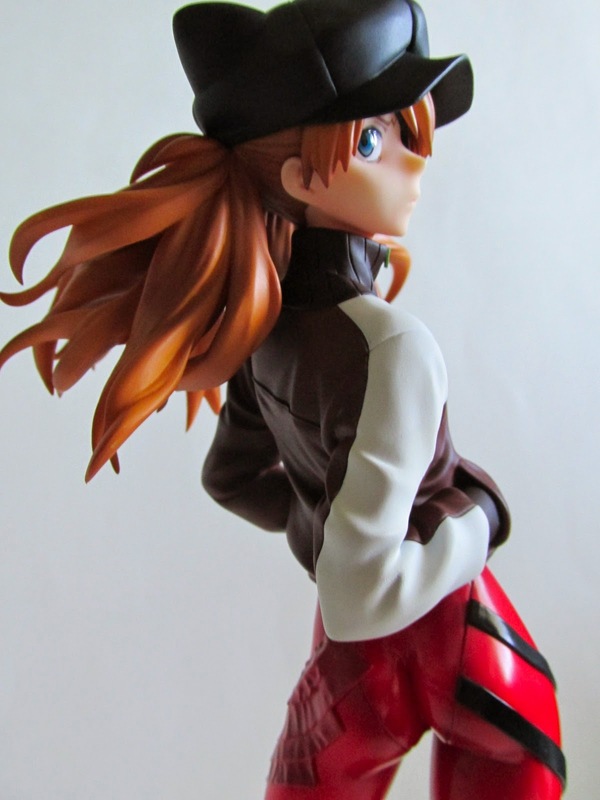 While we wait for the fourth movie to be released, we can all enjoy the plethora of toys and figures that never seem to be ending. 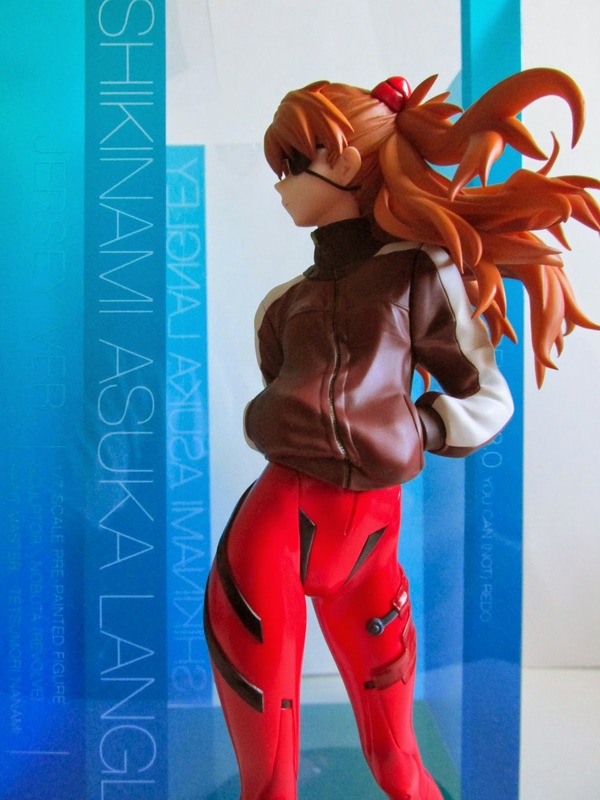 This time around Alter has come up with their 1/7 scale figure of Asuka in her jersey costume from the third film. 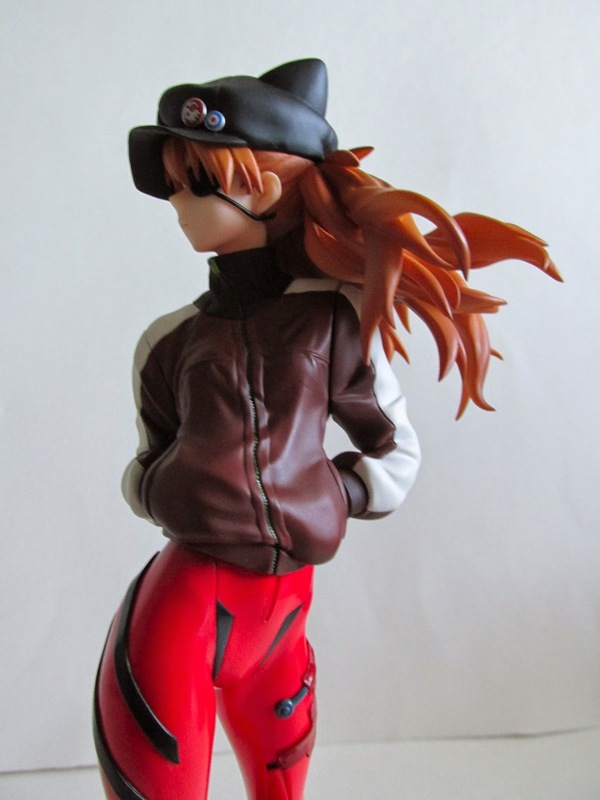 In the beginning of the film, Asuka is seen wearing a red track jacket and a black kitty cat like beret with buttons on it. 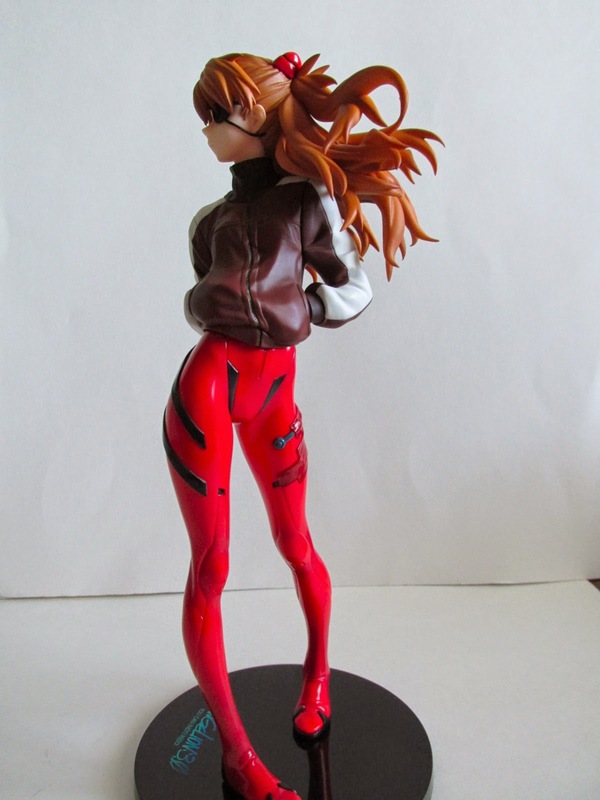 This costume of hers has become quite popular and, of course, has spun off into limited edition merchandise that many have been clamoring to add to their collection. 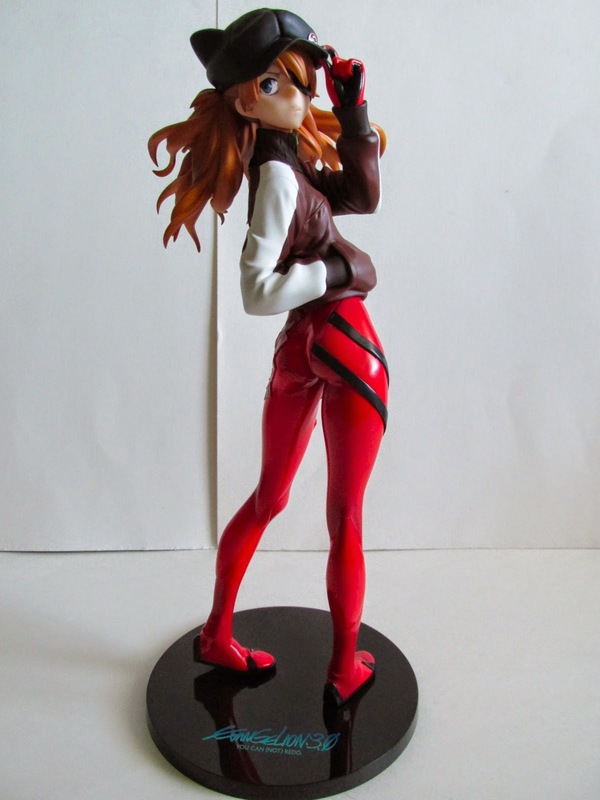 I will say that I am very impressed with this figure and is a great representation of the character. 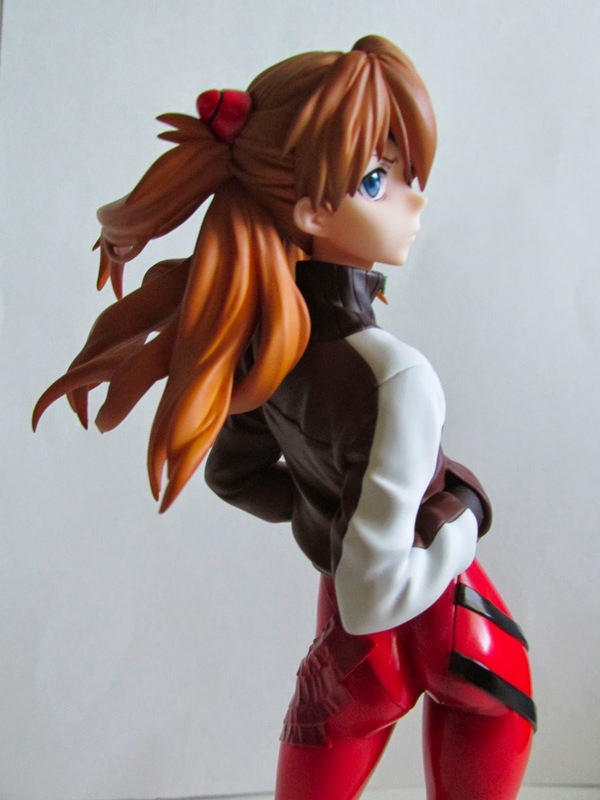 Not to give anything away, but she has the perfect apathetic, angry look in her eyes that she gives when she is seen at this point into the movie. 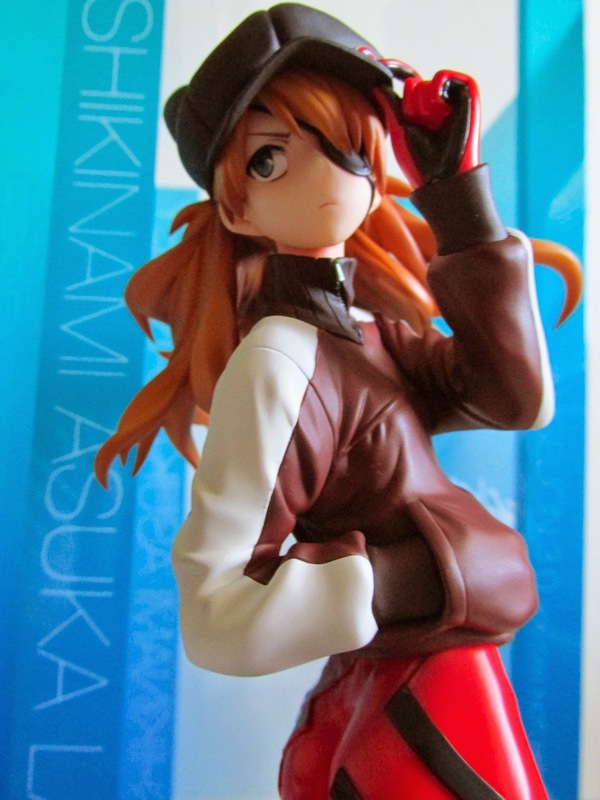 The sculpt and paints apps are superb on this and every angle is a good angle of her. 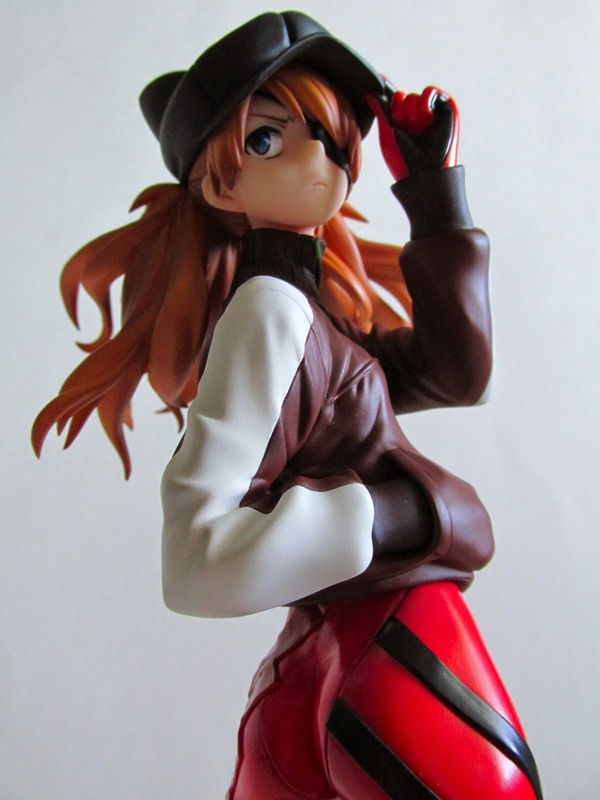 Accessories wise she comes with a basic circle base and change out head and left arm. 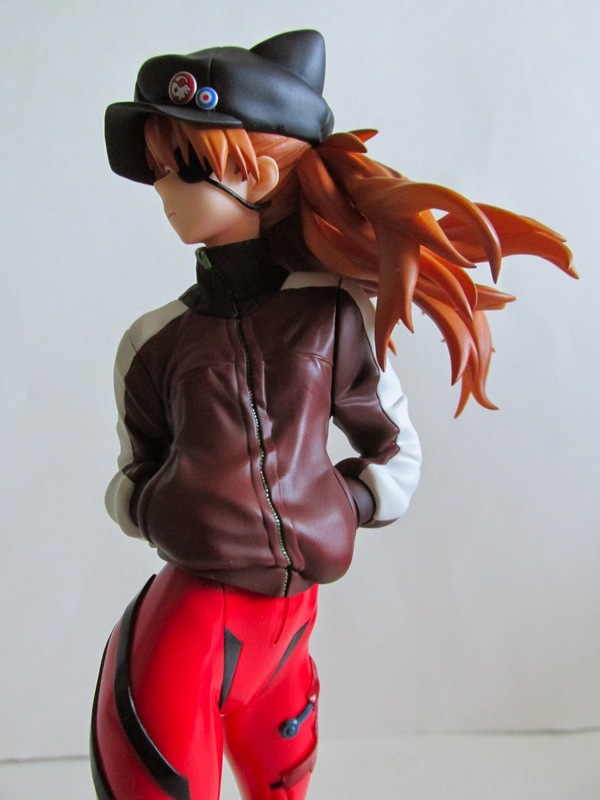 The alternate head has her without her beret and the alternate left arm now fits into her jersey pocket. 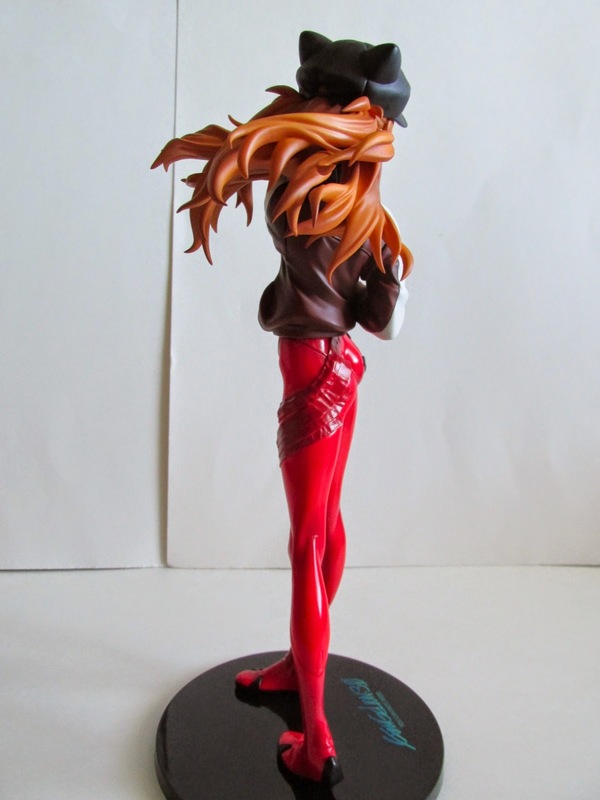 The alternate head and arm is quite easy and the pegs are very durable so no worries of this breaking that easily. 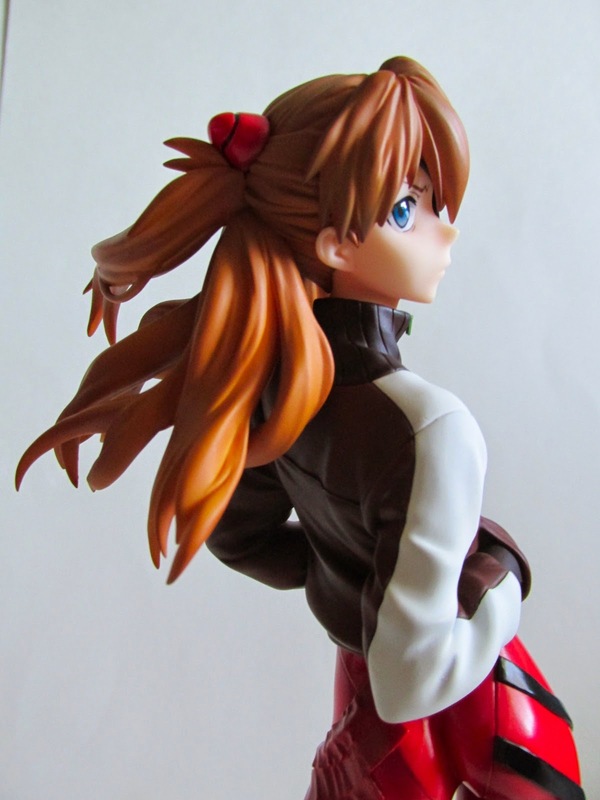 It may just be an alternate head and left arm, but these additions add a lot of character to this already great looking figure. 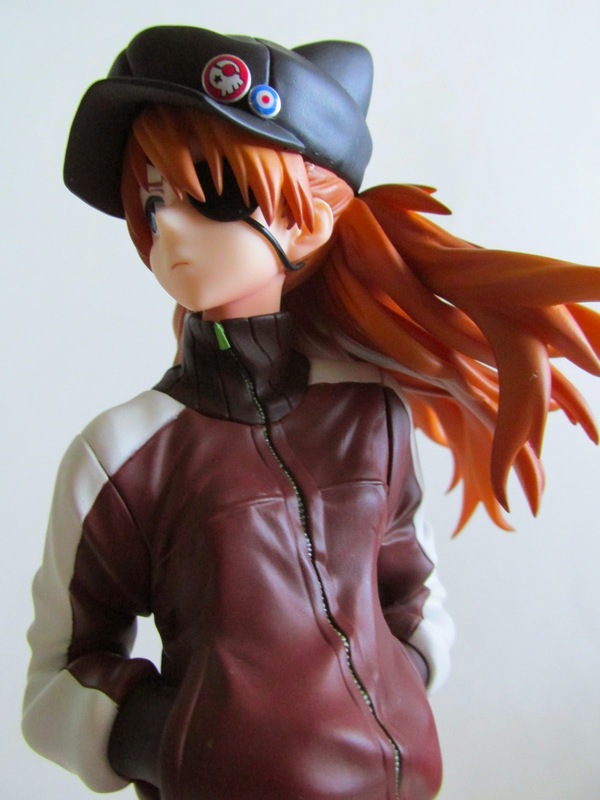 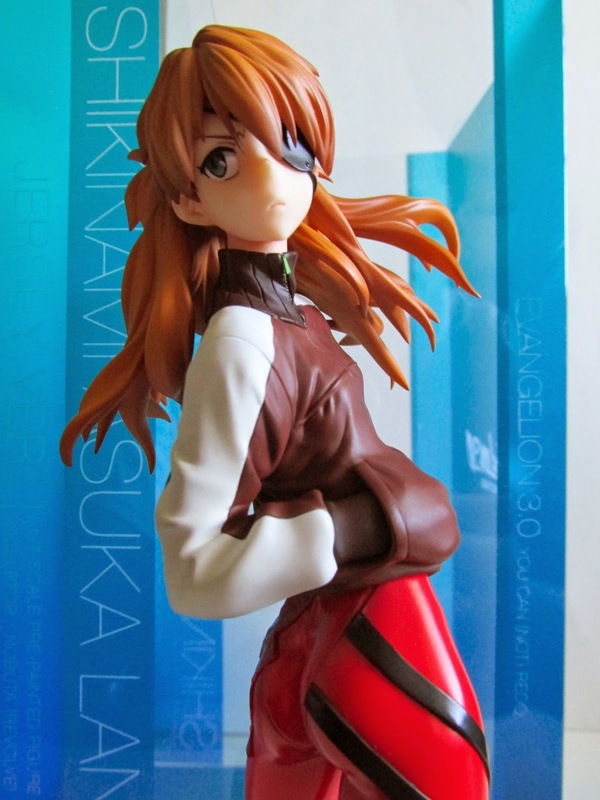 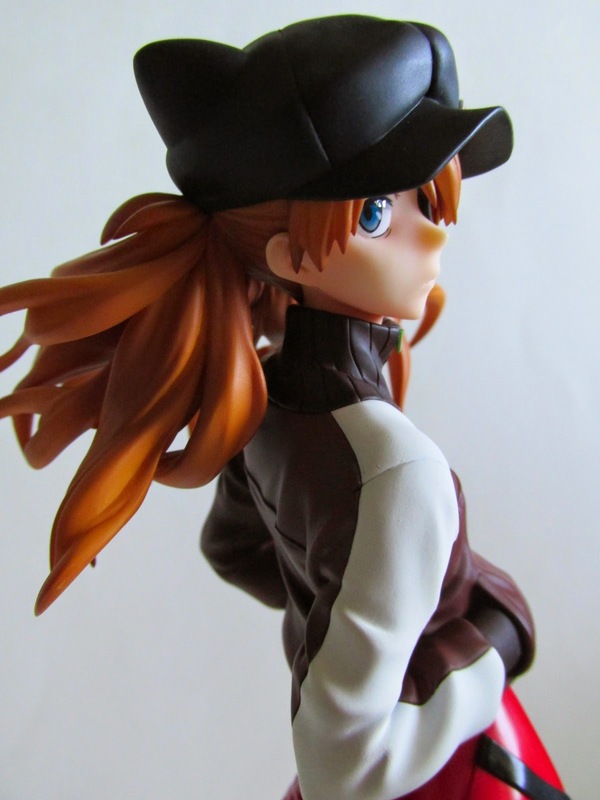 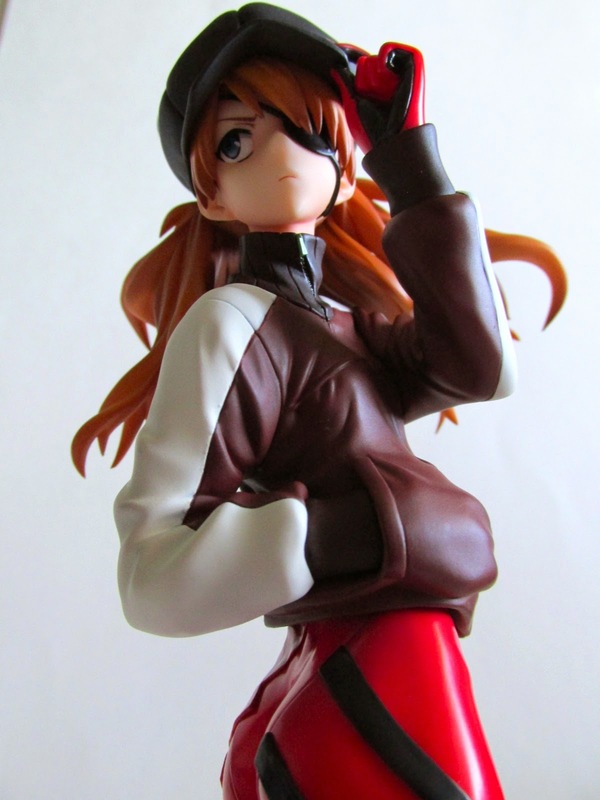 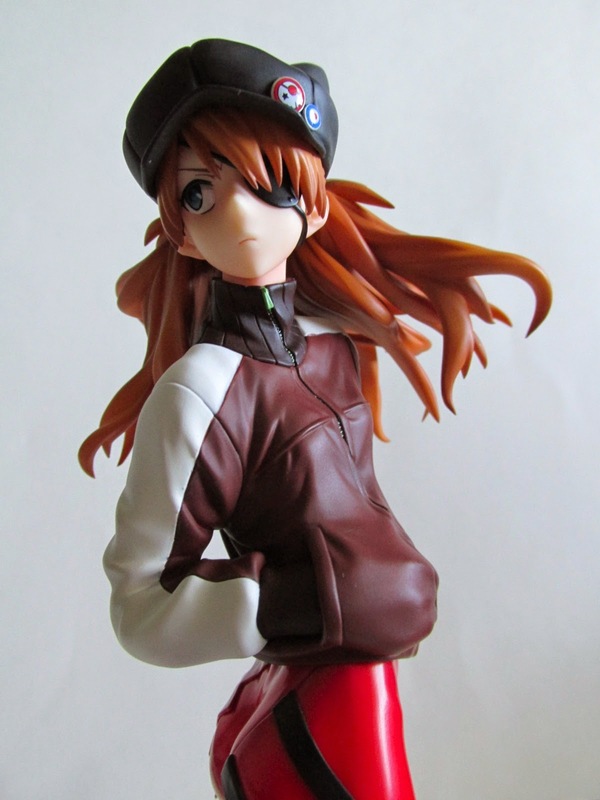 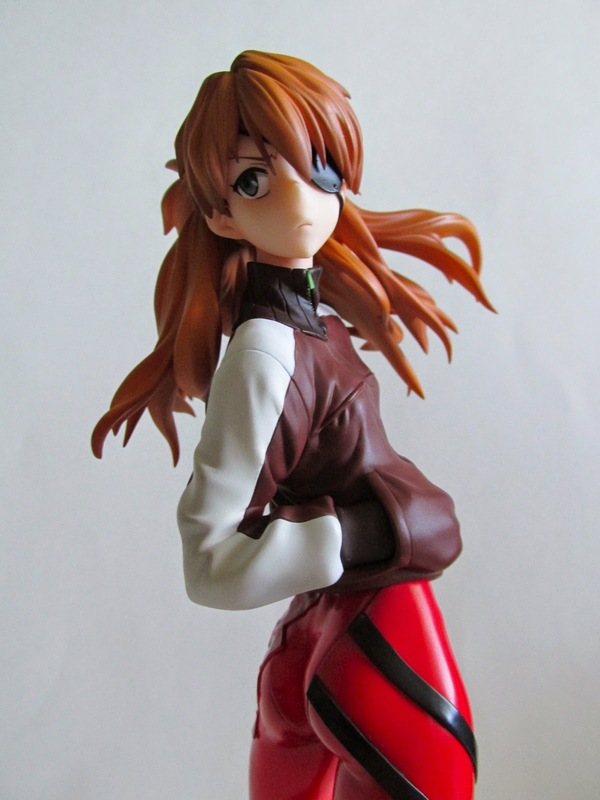 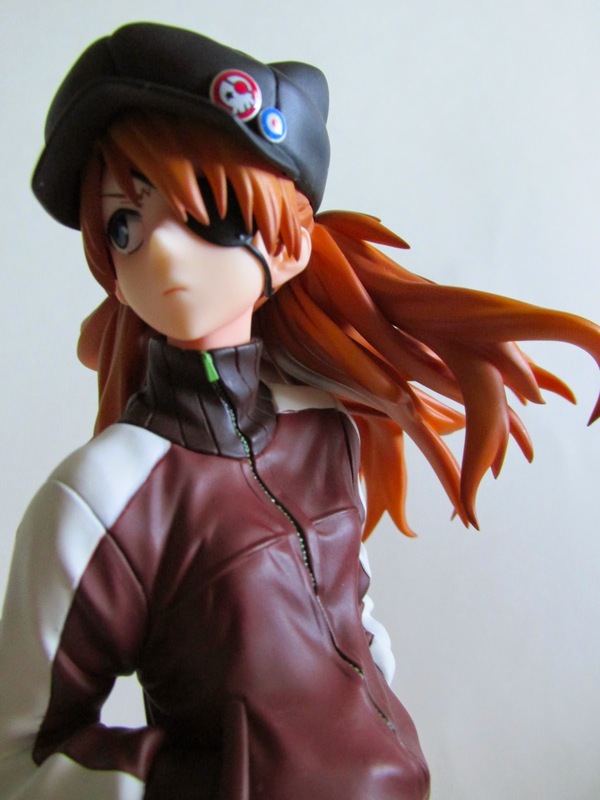 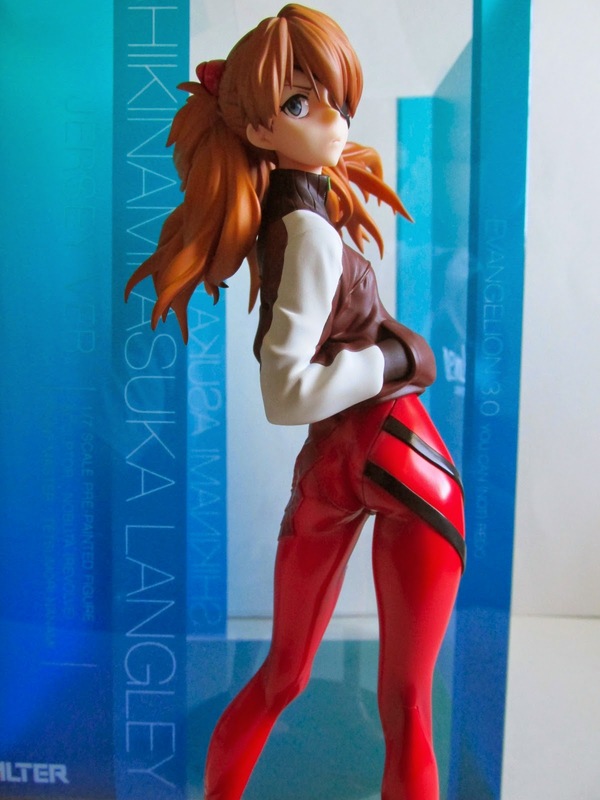 If you need your Evangelion fix and are a big Asuka fan, I highly suggest you get on this especially if you missed out on the Real Action Heroes version of this particular Asuka. 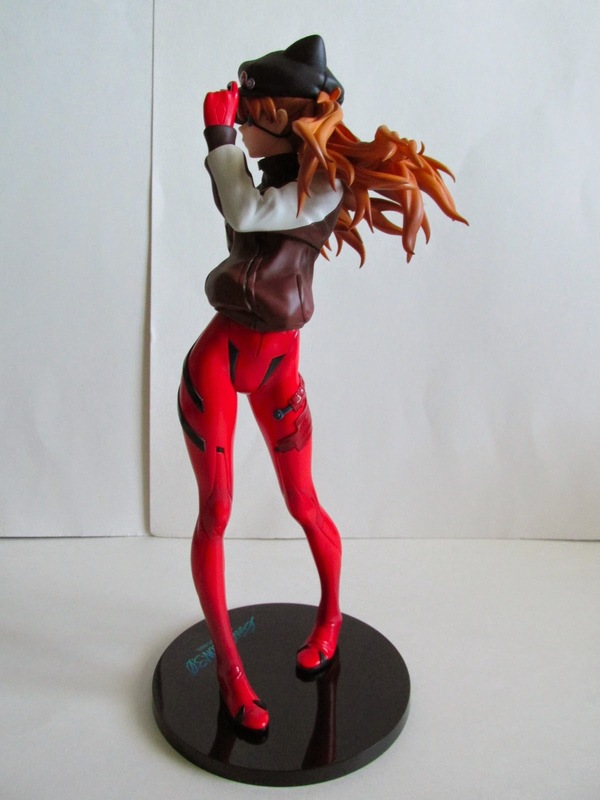 I for one am glad I got this and this will be a great addition to my ever growing collection of Evangelion merchandise.